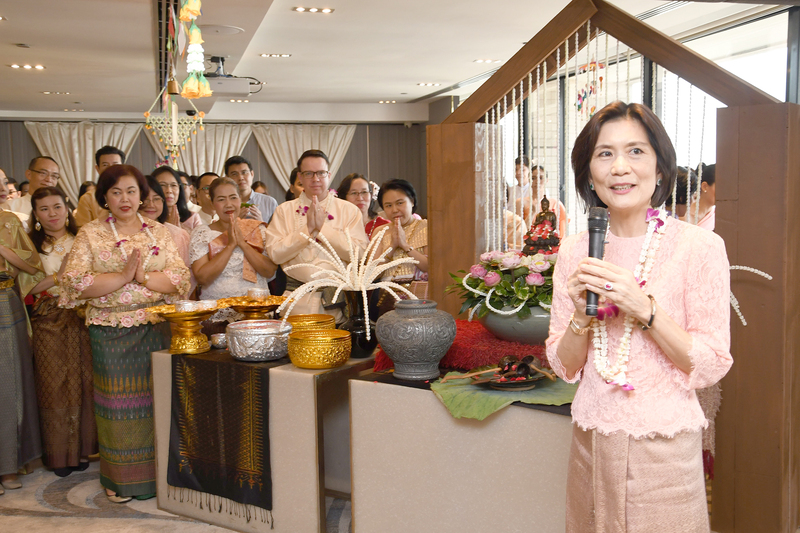 Chatrium Hotels & Residences, led by management and team members, celebrated the Songkran Festival in the most charming and Thai traditional way through water pouring of the Buddha statue and the customary pouring of water on Mrs. Savitri Ramyarupa’s hands, Managing Director and senior management team. 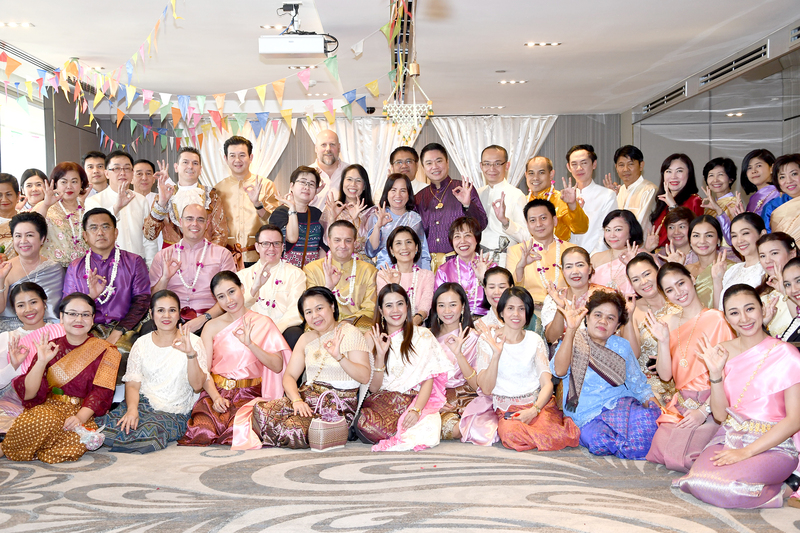 Management and Employees also participated in the Thai dances along with some fun water splashing. The event was held at Emporium Suites by Chatrium.